Lately I’ve been slowly trying to get my sewing room under control. It is a complete mess, with piles of fabric, scraps, and patterns everywhere, cluttered tables, nothing organized. It made finding tools that I needed difficult and frustrating, and having to step around piles of stuff was a pain. It was NOT GOOD. And on top of all that, I’d seen so many beautiful craft rooms on Pinterest and got seriously jealous. So Project Organize the Sewing Room 2017 began! 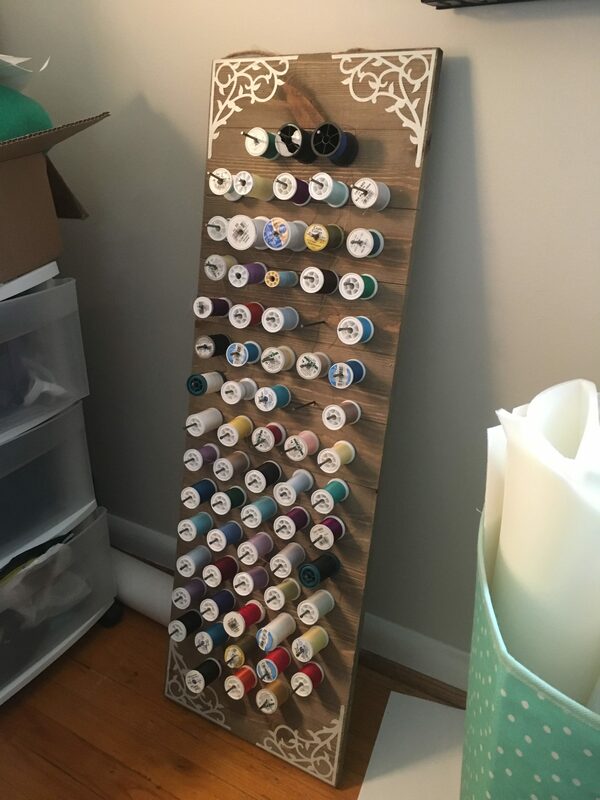 I found the wooden board already finished at Joann Fabrics and used a 50% off coupon to get it at a reasonable price. It’s very large and heavy! I used my Cricut Explore Air machine to cut out the four corner pieces out of cream vinyl. Then I hammered in all the 3″ nails into a grid. I wanted to be able to set the board up vertically or horizontally, so I put the nails in straight instead of on an angle. Of course, I picked it up by the rope at the top when I finished putting all my thread on it. It swung downward, and all the spools fell off! I just have to be careful to always hold it at an upward angle and not let it tilt like that. I’m super happy with it, and it looks so neat in my sewing room. The only minor problem is……. ….. it doesn’t QUITE hold all my thread!! 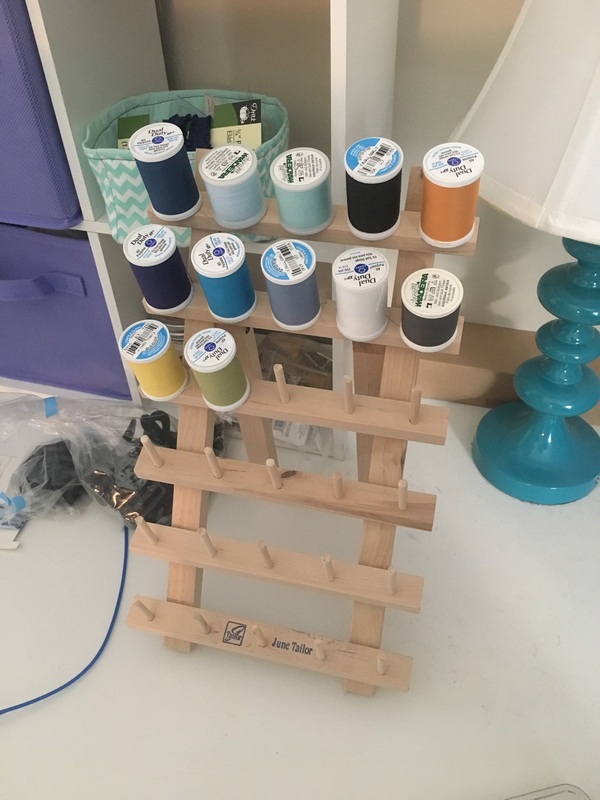 I’ve done a bunch more fun DIY organization projects lately, so look out for more to come! By the way, I’m still running that 10% off promotion — just join my mailing list and you’ll get a coupon for 10% off EVERYTHING in my shop, including my new Ita Bag pattern. It ends August 31st, so sign up now and don’t miss it!